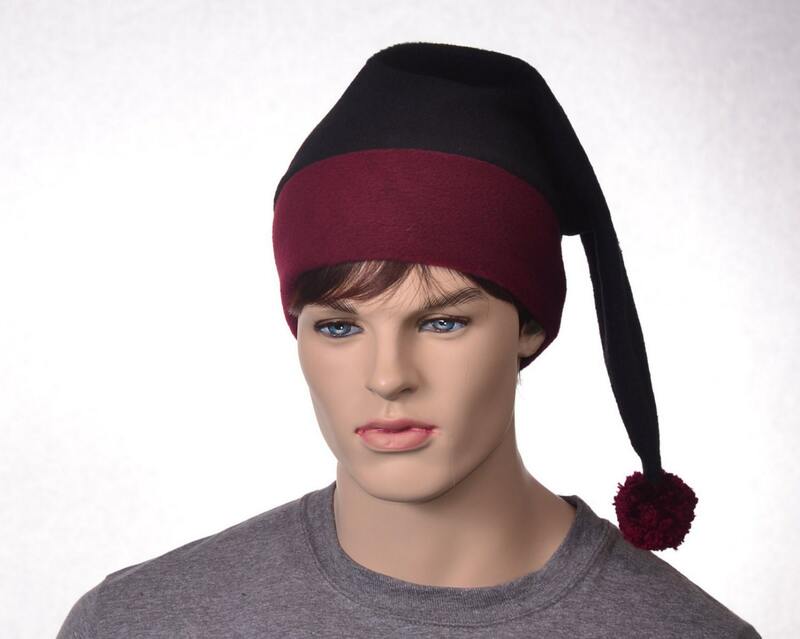 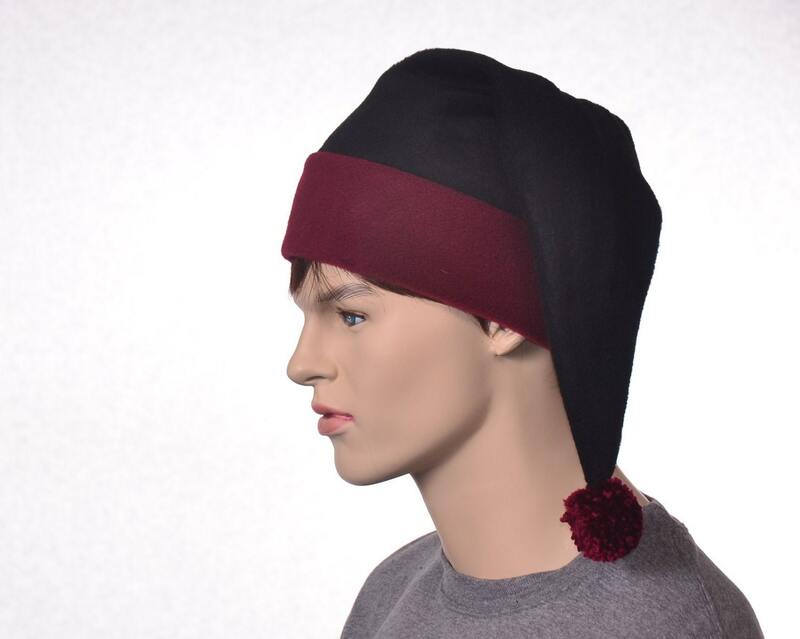 Black Stocking cap in a toboggan style with burgundy maroon brim and large pompom. 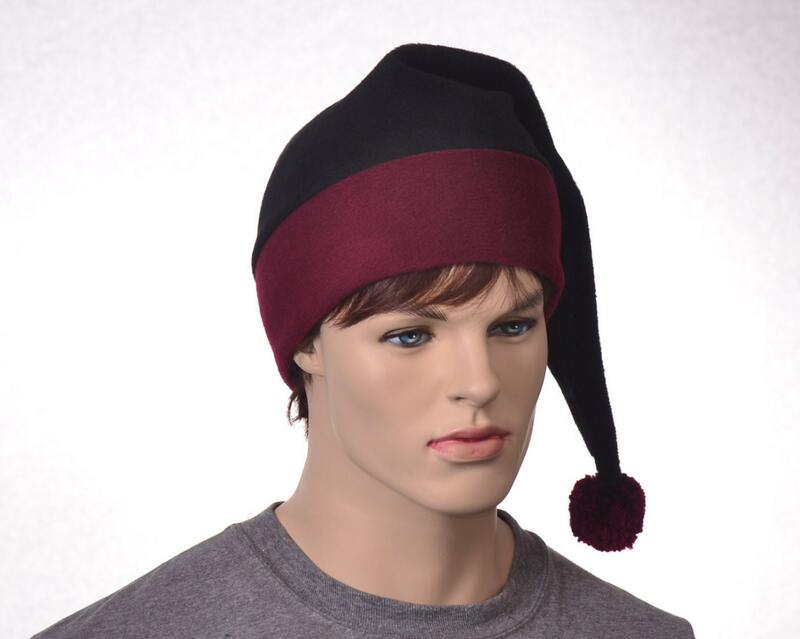 Made from heavy fleece. 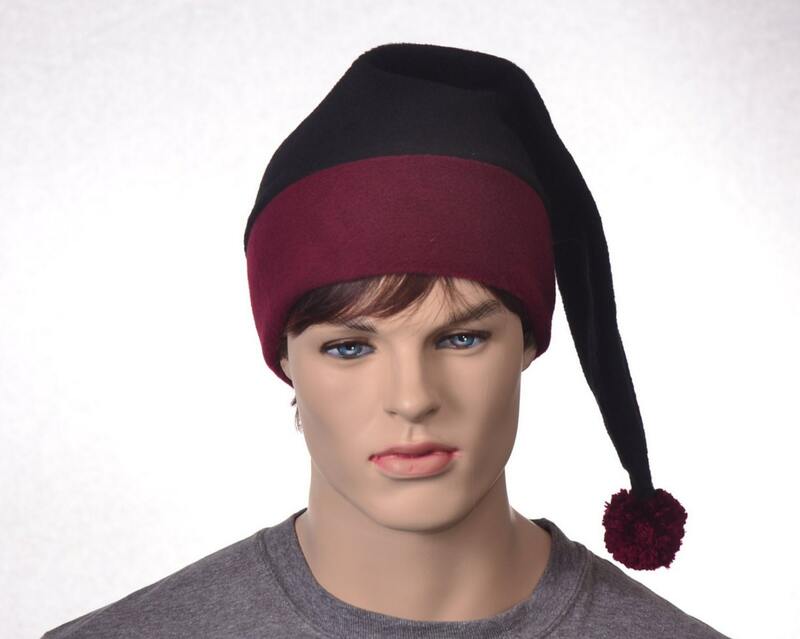 Measures about 20 inches long. 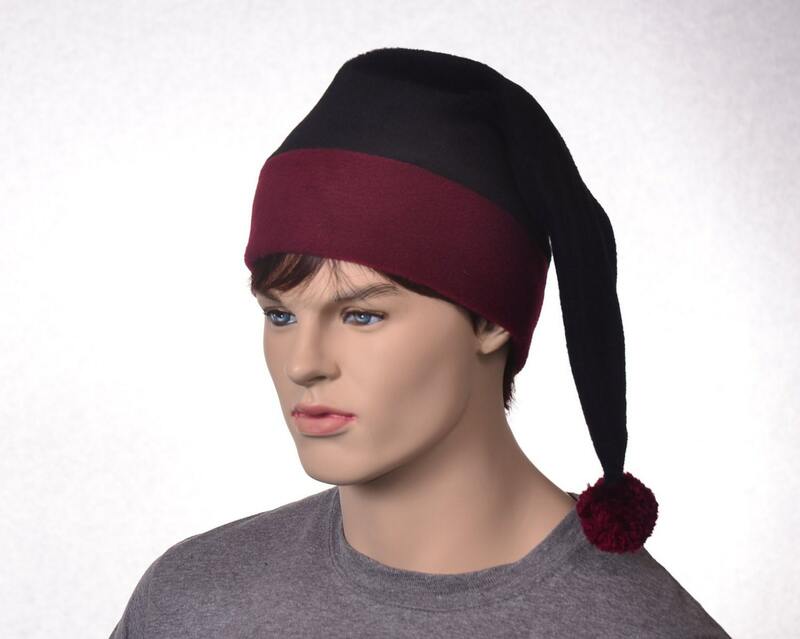 One size fits most for adult heads measuring 22-24 inches.